Estamos concentrados en ser indisciplinados, en ruídos inadecuados, que nos han transportado. 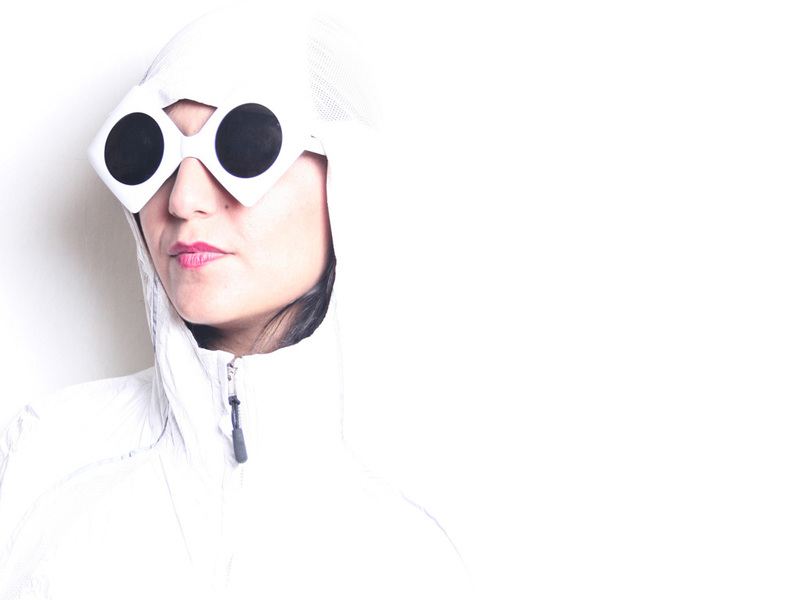 Fakuta is the alias for Pamela Sepúlveda, a musician who has participated in several bands related to both, pop and experimental electronics. In 2009 she began her solo project, songs where the two styles meet, capturing also the fascination by the artist with synthesizers and vocal harmonies, and reshaping the format of traditional song. His debut album "Al Vuelo" (Michita Rex, 2011)has won numerous accolades from the Chilean and international and Latin press, repeatedly placing it among the best albums of the year (Super 45 and Extravaganza!, Chile; Club Fonograma, USA/Mexico; La Nadadora, Spain; MTV Iggy, international). Fakuta adds to her performances a retrofuturistic pop imagery, which is supported by choir singers and producers or DJs who join the band to enhance the sense of live electronics. Some of these presentations have been at festivals in Chile like Festival Neutral, among the best of the indie music of Chile, musicians as Gepe, Denver, Fernando Milagros and Pedro Piedra, and Primavera Fauna, sharing stage with international artists as !! !, Uffie, Jimmie Edgar, Dntel, Lo Fi Fnk or Geneva Jacuzzi. “Retrofuturistic” may seem like a contradictory (and made-up) term, but when you break it down and apply it to the music of Fakuta, it suddenly makes sense. Hailing from Santiago, Chile, Pamela Sepúlveda is the mastermind behind the solo project known as Fakuta. Prior to performing as Fakuta, Sepúlveda was known around the Santiago indie rock scene as a bassist for Maria Celeste, Golden Baba y El Banco Mundial. She began Fakuta in 2009, mixing pop and experimental electronic techniques to create a sound that harkens back to 80s synth-pop, but with a forward-facing edge. In 2011, she released her debut album Al Vuelo (which translates as “Flying”), an eleven-song collection that encapsulates this sense of retrofuturism. The album cover, created by artists Ir y Venir, shows a number of airplanes on a runway, but songs like the album’s title track, with synths that sound like floating blissfully through a twinkling galaxy, or “Segundando”, with its robotic-like vocals right at the top, make us think that perhaps they should be replaced by space shuttles. “50 aňos” (“50 years”) has more of a childlike innocence to it, with what sounds like a toy xylophone accompanying Sepúlveda’s vocal loops. “Virreinatos” is the type of song that highlights her excellent use of space, as she lets every sound resonate, while her gorgeously ethereal vocals gently breeze over stripped-down synthscapes like a delicate lace. “Mil Veces Vuelvo” (“I return a thousand times”) and “Armar y Desarmar” (“arm and disarm”) are two of the album’s more upbeat dance pop numbers, while “Estrella” (“star”) is like a wonderful fusion of dream pop and synth pop, bringing to mind acts like Au Revoir Simone and The Pains of Being Pure at Heart. While it’s just her voice on the album, Sepúlveda is accompanied by a trio of backup singers known as Las Laura Palmers (Anita Garcia, Danae Morales, and Felicia Morales) for her live performances, and has shared the stage with both Chilean and international artists like Fernando Milagros, !!! and Dntel. The recording process for Al Vuelo took over two years, but the wait was worth it--this is a strong debut for the Chilean musician, one that lets you temporarily escape and accompany her on a sonic journey.